Higher education is entering a historic period that has the potential to be the next golden age. Priorities are shifting to focus on improving student outcomes, institutional standing, and operational management. Technology will be a critical part of how these challenges are addressed. 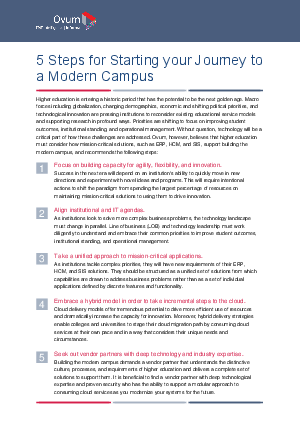 Ovum recommends five steps for future-proofing your technology foundation. Find out more.